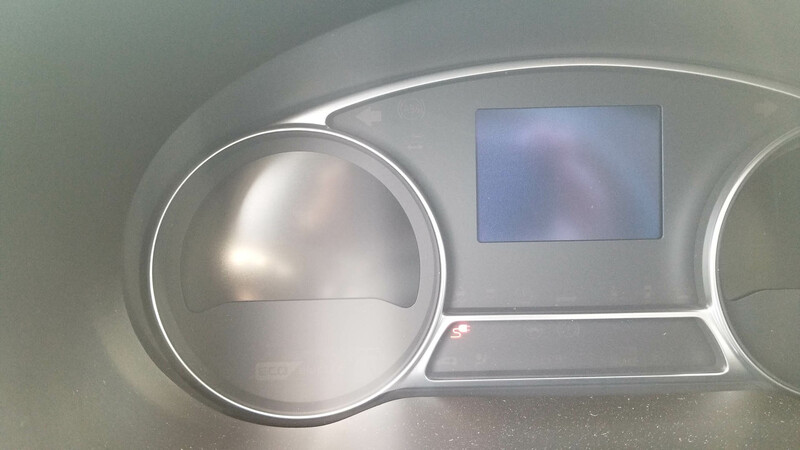 The first time we had the Kia Soul EV our Gaby had a really testing experience of running out of juice in the middle of the night, with not an open charge station to be found. The 2018 Kia Soul EV features an increased range, so it was time for me to test this out in person.. Why let her suffer again, right? The task I had set myself was pretty simple. Charge the car to it’s maximum, drive from Rancho Santa Margarita to LAX, pick up 2 people with their luggage and drive them back to Rancho Santa Margarita. The range according to the vehicle would be 119 miles. The distance to LAX Arrivals according to Google maps is 55 miles, so that should be easy peasy, right? Not so much. The range indicator in EV’s, not just this Kia, but most others as well, is very inaccurate. It is a momentary range indicator, based on the current speed, current usage, and current charge left. If I go downhill, with the wind in my back on a smooth road and at a medium speed, the range increases, but if I go even slightly straight, let alone uphill, with wind against me, or at a slightly higher speed, the range reduces. So you have to keep your eyes on that consistently, adjust your driving where possible, and keep a keen eye on things at all times. In this case I made it to the airport with an 89 mile range left!!! That was a miracle since, again, I started at 119 miles range. Loading up those 2 people and there luggage was simple and fast, so we were on our way back and I was convinced we would have enough left. Sadly, with about 13 miles left to go we had 9 miles range left and I wasn’t convinced we would make it, since some of the roads would be uphill as well. I did get the impression that driving North to LAX used less fuel than driving South from LAX, but I guess the passengers and luggage must’ve played their part. We ended up going to Norm Reeves Honda at the Irvine Auto Center, where my app had shown there to be a ChargePoint fast charger option available. I will get back to this later, but we did spend an extra 25 minutes there to fuel up, and paid the $10 charge standard there.. Standard there since at this Honda CHargePoint you pay $10 no matter how long you are charging, 5 minutes or 35 minutes. Honda must really LOVE the people using ChargePoint to have opted for this pricing. If their current cars weren’t so piss ugly we might have had a nice time, but being surrounded by the latest and greatest in Honda green design, the Honda Clarity, is not exactly awe inspiring. Whatever happened to Honda Design superiority? The Kia Soul did well though. It was spacious enough to house all of us, admittedly 2 oversized Dutch males and a not very short female, plus International luggage, and it performed effortlessly. I would love that range to be up to 140 miles. With the range fluctuating, that would give me a reasonable sense of security that I can actually drive 100-120 miles, which here in the US is mostly the range of a daily commute. We’re not all just using our cars to drive the kids to and from school, soccer practice, ballet, dance classes and football games. Now back to ChargePoint. I was told that ChargePoint was the supplier of choice for this Kia, so I thought it best to try this out. Well, I am not impressed!! If there is any future in Electric Mobility, it should be made priority that companies like ChargePoint get weeded out by companies that do have the best in mind for the environment, and not just a bunch of greedy pocket liners like ChargePoint. California in General, SoCal in particular, has a high density of EV’s. People like to lead by example here. Good for the State, good for the Country! That would make it obvious that there is need for a good infrastructure o charging options, right? Well, ChargePoint made it it’s mission to screw around with that, and to sue any other company that tries to upset their strategy with big money law suits. So what does ChargePoint offer to lure customers amd keep them? NOTHING but the feeling they are being used and abused!!! ChargePoint has fewer locations than I was led to believe. At those locations they offer slow charging, which will take several hours if not more, or the fast chargers. Since the Kia had the fast charging option I was tempted to choose that since it saved time. At the above mentioned Honda dealership a charge, no matter how long, would cost $10. That was not made clear before charging, so when first trying it out I limited myself to 9 minutes charging I still was charged the $10 that I also got charged at the above mentioned 25 minute charge. So I looked for alternatives. I then found that 2 other ChargePoint locations relatively close to me, in fact were not there at all. Subsequently driving North along the 5 freeway I was notified of 2 locations at car dealerships. This was around midnight, so I came to find that those dealerships block off access to their ChargePoint chargers when they close their facility!!! Block it off because God forbid, some of these awful paying EV drivers might actually want to charge up!!! So on my quest went, and I came to a ChargePoint at a California Lottery location. There was one person just finishing up, who told me that we were lucky. 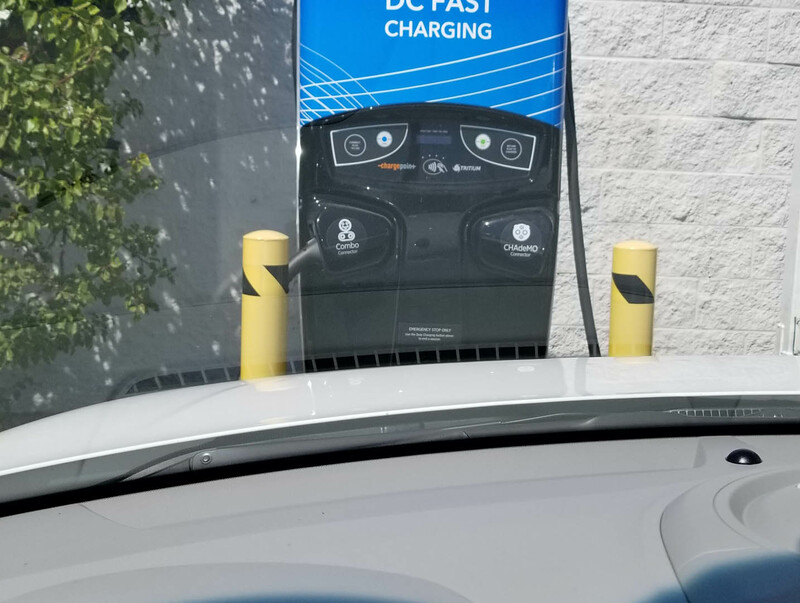 Apparently the California Lottery puts their own vehicles on the ChargePoint during most of the day, preventing others from charging their vehicles when needed. The fast charger usually is done within a maximum of 35 minutes till full, but these cars are renowned to be latched on for hours and hours…!! What is the use of that??? And then when I finally managed to charge till full, a 30 minute charge, it cost me $6???!!!! Honda ChargePoint!!?? What is that $10 for than?? Making sure I never come again!!?? You succeeded there!! If the current trend to electrification of our infrastructure wants to succeed, it is essential to demand Open Protocol Charging systems, with a variety of companies supplying at a set price, based on the time of day and usage of the grid. DO NOT allow local dealerships determine what price they want! Also it would be most efficient that people can sign up in general to 1 Charging organization, and can see within that whole group which charging locations where are available, independent of specific brand of charging companies. Ease of use it essential, and we should not make the same mistakes fuel stations have made by doing whatever they want where they want, so that all customers feel they’ve just gotten robbed and resign to going to Costco’s instead.